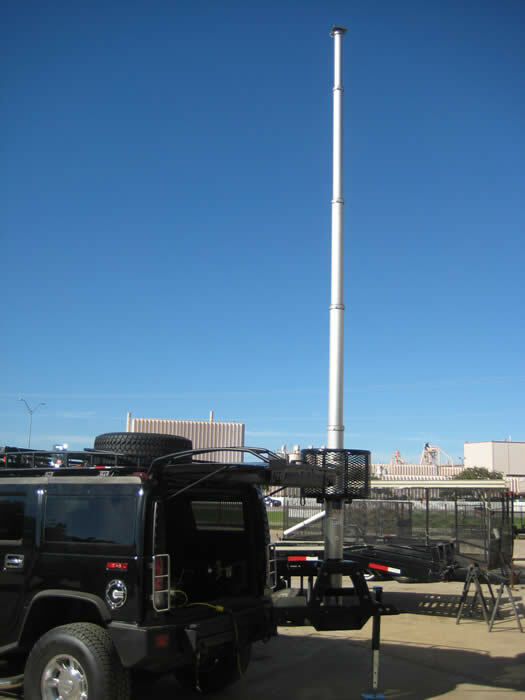 We can make similar modifications described under our Cell Site on Vans (CSVAN) page to H2 Hummers or other suitable vehicles such as Suburbans or Jeeps, including whatever conversion is required for the application. 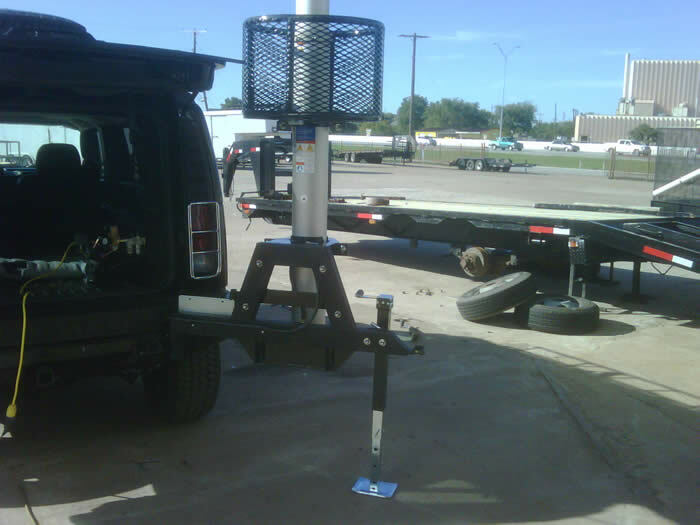 With H2 Hummers, we can install the pneumatic masts either through the roof or onto the spare tire armature on the rear of the Hummer. 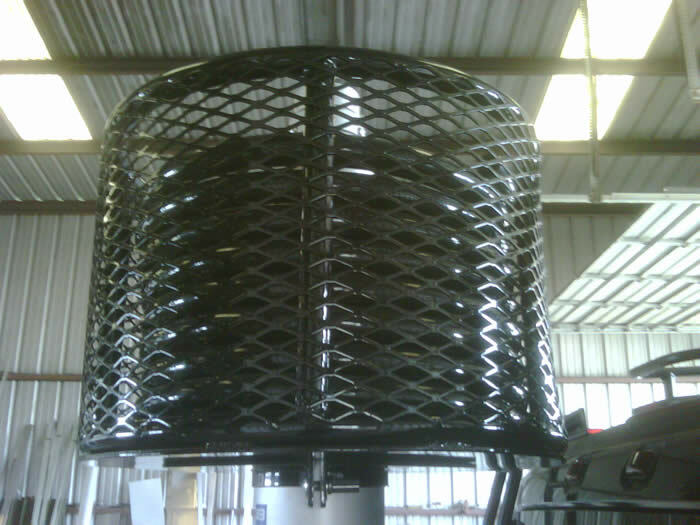 There is a size limitation for installation onto the rear armature of H2 Hummers due to the weight of the mast. We can use our vehicle modification capabilities to build a custom vehicle which can be used for customer demonstrations, remote applications or test platforms. 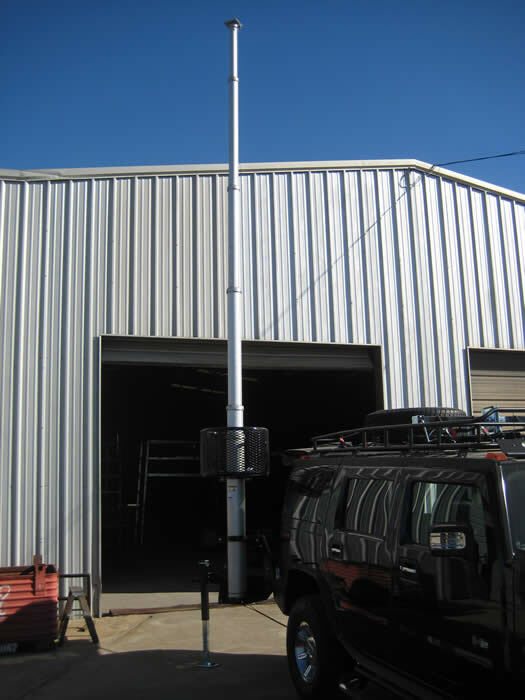 We can turn any vehicle any to any custom platform required for any communications application. 1. Removed the spare tire from the rear armature. 2. Installed a Hummer roof rack and rear ladder (rear left side) and then installed the spare tire onto this roof rack. 3. Fabricated a custom aluminum mast bracket assembly that we secured to the rear armature. 4. Installed the Will-Burt 6-25 non-locking pneumatic mast onto this custom bracket. 6. Installed the air compressor, and a custom air tank, into the right rear area inside the Hummer (there is room to install them under the Hummer). 7. Attached a collar assembly to the rear armature (near the end) for securing a drop leg jack, which is used to support the mast when deployed. 8. Fabricated a custom stabilizer bar that attaches to the receiver hitch, which has a drop leg jack on each end, to help support the Hummer when deployed. We also fabricated an extension tube for the receiver hitch so that the hitch can still be used if the stabilizer bar is installed. Then we secured both the stabilizer bar and (2) jacks, as well as the receiver extension tube onto the roof rack for transport. 9. Fabricated a custom aluminum antenna kit assembly that secures to the top of the mast, which provides for installation of a radio head inside the main body and installation of a camera on top, as well as attachment of (4) adjustable aluminum armatures equipped with adjustable aluminum end plates for securing various size antennas. A photo of this custom antenna kit is included at the very bottom of the attached photos. 10. All fabricated items were powder coated black. 11. 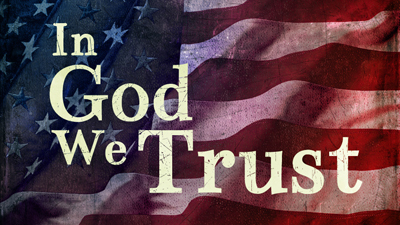 The system was tested to ensure proper operation prior to shipment.